Boil the fusilli in a slightly salted water for 10-11 minutes. Boil the broth, the tomato sauce, water, vegetables and the basil in a large pot after that lower the temperature and leave them on the hob for another 7-10 minutes. Add the beans, pasta, salt and pepper to the taste and stir well. 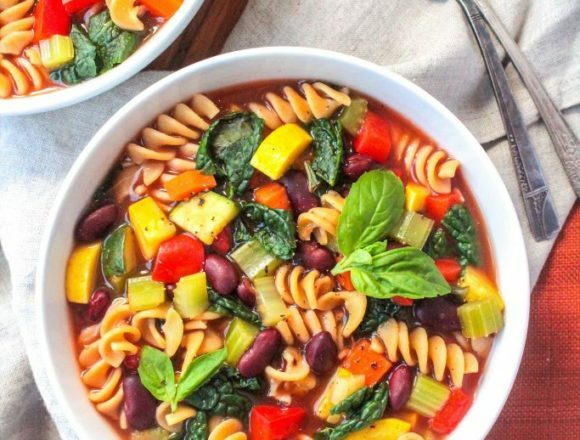 If you use green vegetables like kale or spinach, now is the time to add them to the soup. They will require additional 3-5 minutes of preparation. Remove from the hob and serve.